A good therapist can determine where any adhesions may be and then break them up while improving functional flexibility in the tissue. 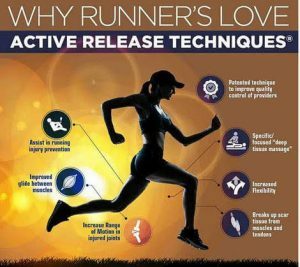 … While it likely won’t help with muscle adhesions or scar tissue, a more relaxing massage still has many benefits for runners. Study the training of professional runners and you’ll notice that they have an entire team helping them succeed. Their coach is just the leader – most elites also see sports psychologists, strength coaches, nutritionists, a variety of doctors, and yes, massage therapists. 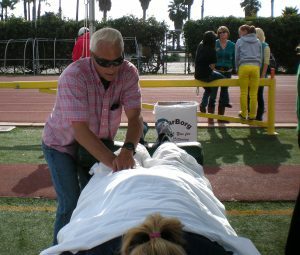 Massage has long been a part of a runner’s training program. You’ve no doubt heard many of the benefits of massage: improved circulation, less muscle soreness, and a removal of exercise waste products like lactic acid. But much of what we think is true actually isn’t. Here’s a quick example: lactic acid (or lactate) is removed from your muscles within minutes of accumulating. And it’s not actually responsible for sore muscles. Not only is lactate cleared from your bloodstream relatively quickly after you stop running fast, it’s not the culprit of muscle soreness. That’s mostly due to cell damage to your muscles. So what are the actual benefits of massage for runners? If massage doesn’t clear lactate from your muscles, how can it help your running? Why massage can be so beneficial for runners (not necessarily the general public). If you have a runner friend who either hates massage or thinks it can’t help them, send them a link to this article! The major benefit of massage is that it relaxes tense muscles and removes adhesions or minor scar tissue between muscles and fascia, a fancy word for the sheath or casing that surrounds your muscles. Unneeded tension and adhesions can restrict movement and impair your range of motion, potentially leading to abnormal movement patterns that can cause overuse injuries. Another major benefit of massage for runners is pain relief. His last point is fascinating because relaxation is an overlooked aspect of training. Stress from work or your personal life can negatively impact your training and ultimately how well you adapt to workouts. After all, adaptation is simply your body’s reaction to a stress (in this case, running). But stress in other areas of life can hinder your body’s ability to adapt because it’s overloaded. Recovery is the other major benefit of massage. Massage can reduce pain and the intensity of muscle soreness after a grueling workout or marathon. Some studies indicate that massage can reduce inflammation, improve immune function, and reduce stress hormones like cortisol. While massage won’t clear lactic acid or any other waste products from your muscles, it will promote more circulation to your muscles. Better circulation is what will aid your recovery (which is the same reason why compression socks work). These benefits suggest you can recover faster after a hard session and be ready for another sooner. Running more fast workouts – or higher mileage – is one of the best ways to become a better runner. And massage can help you do that while mitigating the injury risk. 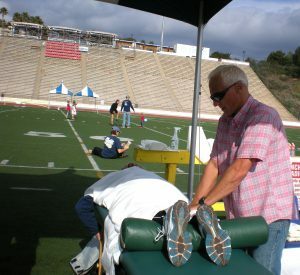 Quite a few runners have asked me if they should get a massage the day before a race. Or if a massage right after a marathon is a good idea. The answer to both questions is no. Massage right after a hard race or workout (or maybe even the day after if you’re still significantly sore) is counterproductive to the recovery process. And massage right before a race might leave you sore on the starting line. Think of massage as a workout where deep pressure can cause some muscle soreness. You don’t want to layer too many sources of muscle soreness so it’s best to wait 1-2 days after a hard workout or race to get your massage. If you want to get a massage before a race, it’s best to do it 2-3 days before. Massage can sometimes require “recovery” so you want to wait until that wobbly feeling disappears. Fear not, your spaghetti legs will return to normal after 1-2 days and you won’t feel like Gumbi. For those runners not racing right now, you should still follow these principles around your hard workouts or long runs. Not running any difficult workouts or long runs and just want a good massage? Get it anytime! What Are the Best Types of Massage for Runners? There are three types of massage that are best for runners and all are used in different situations and at different times. This type of massage is more holistic than the next two I’ll talk about, so this is best used during periods of hard training. Since it focuses on your entire muscle, rather than a particular trouble area, it’s great when you’re training a lot but don’t have a specific injury. 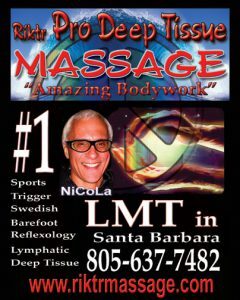 All this talk about massage makes me want to spend thousands on healing, therapeutic massage. But who has that kind of money to throw at expensive massage treatments? Thankfully, you don’t need to invest that much in professional massages (though there’s nothing quite like them). A foam roller is your best option at only about $20-$25 and can be used for years. The Stick is another option, which I prefer for the calves and hamstrings. It offers a slightly deeper massage in my experience. A massage ball can go deeper and be used well for specific trigger points. But be careful: deeper pressure isn’t necessarily better. Muscles can tighten up as a defense mechanism, so stick with relatively gentle pressure. Finally, one last tip from Greg Lehman: find a massage therapist who listens to you and pays attention to how your body responds. I’ll add that if your masseuse is also a runner, that can be helpful as they really get the sport and its demands. This goes for doctors and physical therapists, too! It is assumed that the ancestors of mankind developed the ability to run for long distances about 2.6 million years ago, probably in order to hunt animals. Competitive running grew out of religious festivals in various areas. Records of competitive racing date back to the Tailteann Games in Ireland in 1829 BCE, while the first recorded Olympic Games took place in 776 BCE. Running has been described as the world’s most accessible sport.